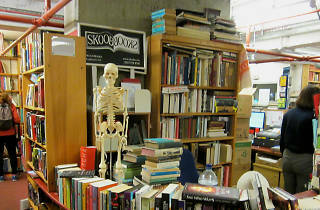 In 2008, Skoob Books returned to business in the Brunswick Centre and we’re delighted to say it’s still going strong. The 2,500 square feet of floor space may be in a basement with concrete walls and exposed piping, but the operation is light and airy, and recent reshuffles have made it more logical to navigate the 55,000 titles on display, which cover almost every subject imaginable – from philosophy, biography, maths and science to languages, literature and criticism, art, history, economics and politics. Holdings are regularly refreshed with stock from the Oxford warehouse that’s also run by personable owner Chris Edwards. 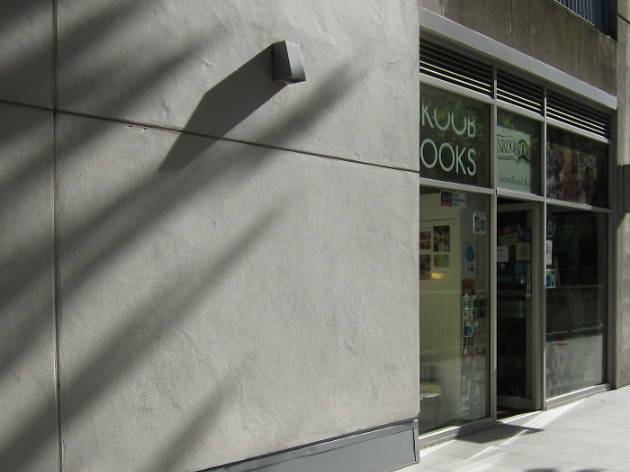 As other bookshops round the country collapse, Skoob buys their stock and now holds well over a million books. Unlike its name, Skoob is not backward in coming forwards, and long may it continue. There’s a discount for students and 10 per cent off for Curzon cinema card holders. Having recently scoured the city for decent book shops, I can safely say this is one of the best second-hand bookshops in London. The shop includes a HUGE selection of used books in many different categories (as well as a bookshelf of orange, Penguin-bound classic books). 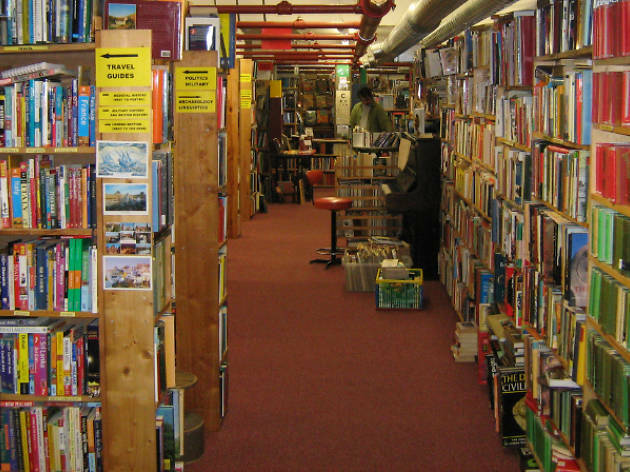 The staff is friendly and the atmosphere is quiet and welcoming - everything you would want in a bookshop while you peruse the shelves to find your next Literature adventure. The also offer a 10% Student discount. This is what secondhand bookshops should be. Vast quantities of books of all kinds for hours of happy browsing, and knowledgeable, friendly staff to help find specifics. I love this book shop. It's one of the best in London. The great thing about it is that there's no inventory system. You simply go in and have a rummage through dedicated sections like the good old days - not that I remember them. You'll also find the occasional rarebie and first edition classic. Also great for students who want second hand and inexpensive uni textbooks! 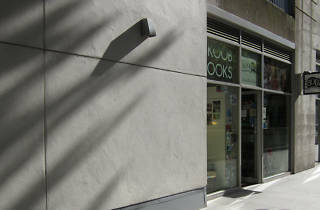 A very special little shop for quiet and persistent book enthusiasts. I absolutely love this place, its rammed from ceiling to floor with old and interesting books, bargains and very expensive gems alike. You're likely to find what you're looking for as well as a few other things you never knew you needed. The staff are extremely knowledgeable and somehow know how to find things amongst the beautiful chaos. It's a shop exactly how you want a shop to be. Long may it remain here! My favourite secondhand bookshop. 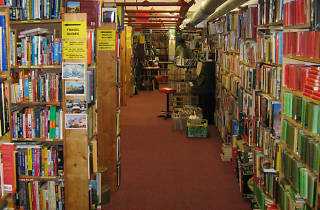 I usually get lost here for about an hour every time and walk away with at least one to two books. Has a great selection of titles and some surprisingly good finds if you look hard enough. 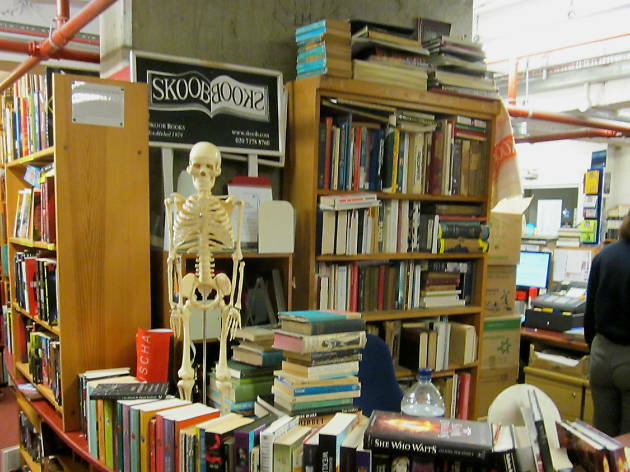 Great place with piles of interesting books!